At Lice Free Noggins, a mobile lice removal service in Staten Island, NY, all of our highly trained Lice Treatment Specialists are experts when it comes to head lice treatment and nit removal. Our highly trained staff will not only end the cycle of head lice but also provide you with the education and hands on training needed to prevent future outbreaks. 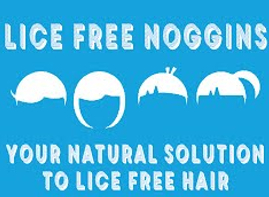 What makes Lice Free Noggins the preferred lice treatment service in Staten Island? Attempting to get rid of head lice on your own can be a very trying experience. What makes Lice Free Noggins stand apart from other lice removal companies and salons is that our Lice Treatment Specialists have a passion for the head lice removal services which Lice Free Noggins provides. Our lice specialists will quickly and accurately screen all household members and treat those, which are affected, in a thorough and efficient manner using only the best lice treatment products which are natural, eco-friendly, and pesticide free. Staten Island, NY’s #1 Professional Lice Removal Specialists! Getting rid of head lice does not have to be a stressful experience. We offer best lice treatments for adults and kids. Chemical-free, safe, effective, and fully guaranteed lice treatment service. We have successfully treated thousands of families in Staten Island and we can help yours today! Call Us for Head Lice Removal in Staten Island, NY. Get Rid of Lice in Just 1 Appointment! We've treated over a thousand families in Staten Island. We focus on providing the highest quality service by following a standardized lice removal system. Our lice services are quick, pain free, competitively priced and NO Travel Fees! Professional in-home head lice removal and head lice treatment service in Staten Island, NY. We offer a safe and effective head lice removal treatment for your entire family. Our lice treatment products are natural and non-toxic. We guarantee to eliminate your family's head lice & nits in just one visit. Flat rate pricing and NO travel fees!